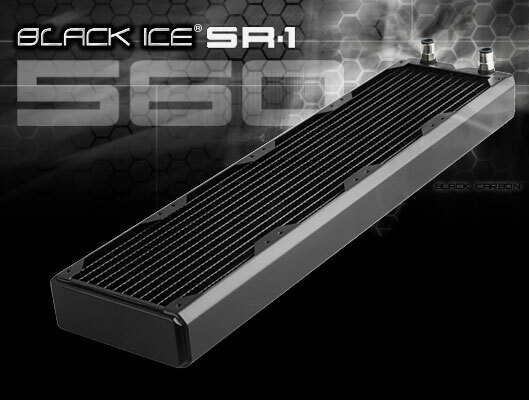 The Black Ice® SR1 platform is the new PC radiator technology from Hardware Labs designed for ultra-low airflow applications. Black Ice® SR1 radiators feature a custom compressed core width utilizing streamlined 45 micron copper fins giving it unparalleled performance from sub-800rpm to 2000rpm fans and flow constricted systems. * High performance compact radiator compatible as an upgrade to the Black Ice® GTX560 and most 4x140mm fan form factor radiators.